A functional and beautiful kitchen, flowing floor plan, plenty of storage, and spacious master bathroom will help win buyers’ hearts. However, often before they see those areas, they see your landscape. It’s the curb appeal theory that I’m talking about. Some buyers will decide based on the look of the outside of your home whether they’ll even bother to come inside. If your front yard is cluttered, your exterior paint is chipped, driveway cracked, you’ll find that the for sale sign in your yard won’t attract as many buyers as it could if you spent some time to clean up and create curb appeal. Fortunately, you don’t have to hire a landscape company to come and renovate the entire area. There are things that you can do that are fairly simple and will attract buyers. 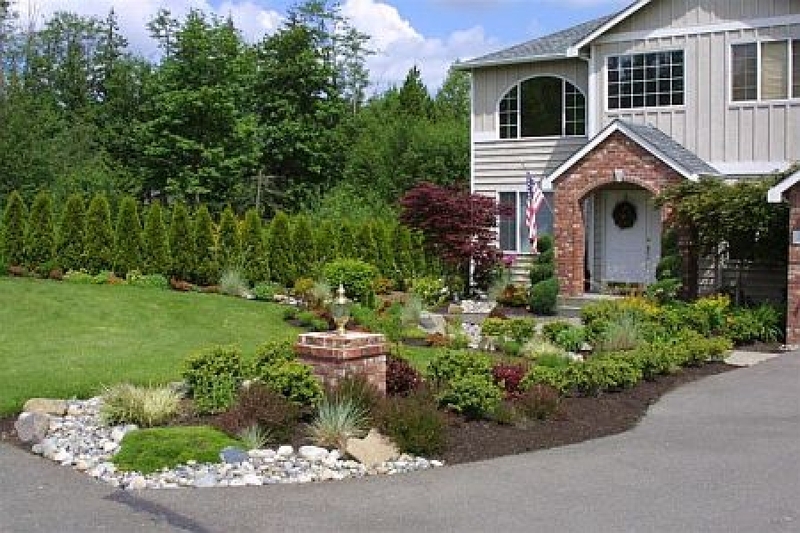 Start by removing dead plants, shrubs, and debris. Doing this step will create space in your yard and allow you to find a few potted plants to fill in the empty space to bring some color into your yard. If you get a lot of fallen leaves, make sure you have someone rake and sweep up regularly. Remember your home is on the market every day, not just when it’s being held open. So, keep it up daily. Just like when you go out to eat, you like to dine in pretty restaurants that are clean; buyers want to see your house in its best condition and that starts at the street. Treat your lawn to a fresh coat of paint. It might sound odd but you can, indeed, paint your lawn. Large patches of brown lawn can lower the value of your home or turn a buyer off completely. It might not be practical to completely remove your lawn. So, you might try hiring a company to spray paint your lawn. Companies that do this can match the color of your lawn so that it looks natural. Some cities have used this method to clean up lawns on foreclosed homes. Painting lawns has been used on commercial properties for decades. The paint is typically made from a non-toxic vegetable oil so it’s not harmful to people and pets. Lawn paint is similar to dying your hair. It’s a semi-permanent color that stays on the grass and won’t wash off but it will fade over time, usually about three months. Fix broken windows and dents in the garage door. Take a walk around the exterior of your home and note which areas need repairs. If you have paint chipped areas get them fixed. It’s likely that the cost won’t be that much and yet the payoff of repairing these items will help improve your home’s overall value. Add a splash of color. I saw a home the other day that had a yellow front door and a matching yellow umbrella in the front yard. Frankly, I don’t remember much else about the landscape except that I thought the home was charming. The bright yellow door stood out and the umbrella made it seem quaint. Nothing else about the landscape was that spectacular, but adding some eye-catching color made the home shine.